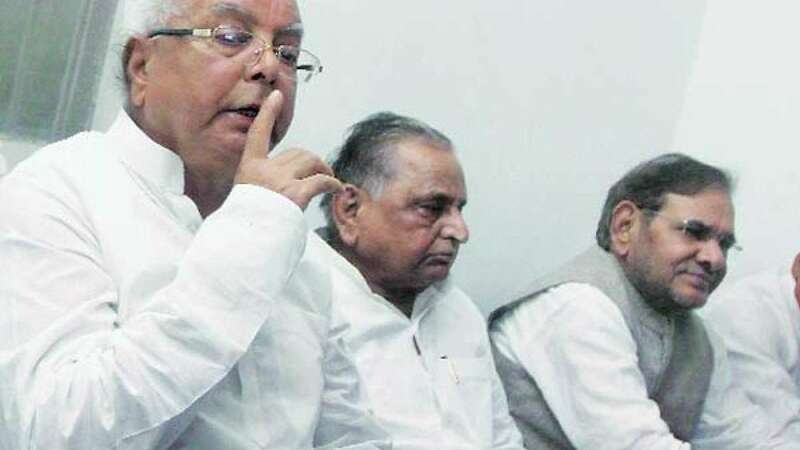 New Delhi : SP chief Mulayam Singh Yadav on Tuesday announced that Nitish Kumar will be the chief ministerial candidate for JD(U)-RJD merger. Lalu Prasad Yadav who was present there during the announcement has reportedly suggested his name and opted campaigning for himself. Many veteran politicians called it as drinking poison to stay in politics. • In Lok Sabha Elections. BJP had swept away 31 out of 40 seats to force compulsory merger of these parties.